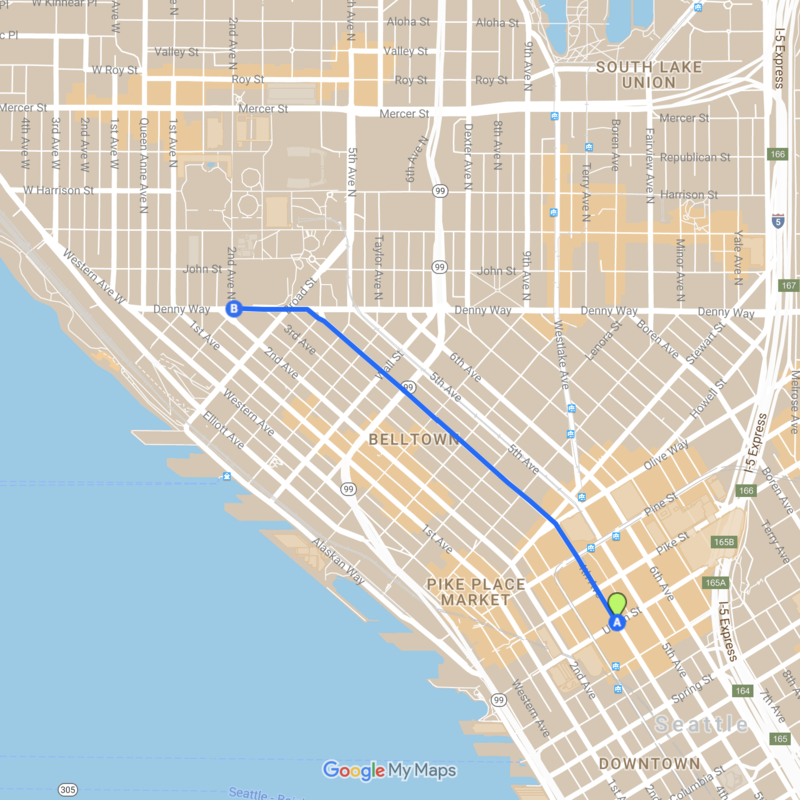 The Seattle Pride Parade runs along 4th Avenue in downtown Seattle, beginning at Union Street and running north to Denny Way. The official media and accessible (ADA) viewing areas are at Westlake Park. Announcer stages are located at 4th & Pine (Westlake Park), 4th & Bell, and 4th & Denny, with beer gardens nearby.